Medlock FRB are specialist fit out, refurb and new-build contractors with their own bespoke joinery manufacturing facility. They operate throughout the UK carrying out projects of varying size and complexity. MedlockFRB works within a number of market sectors and have a proven track record of delivering outstanding performance. 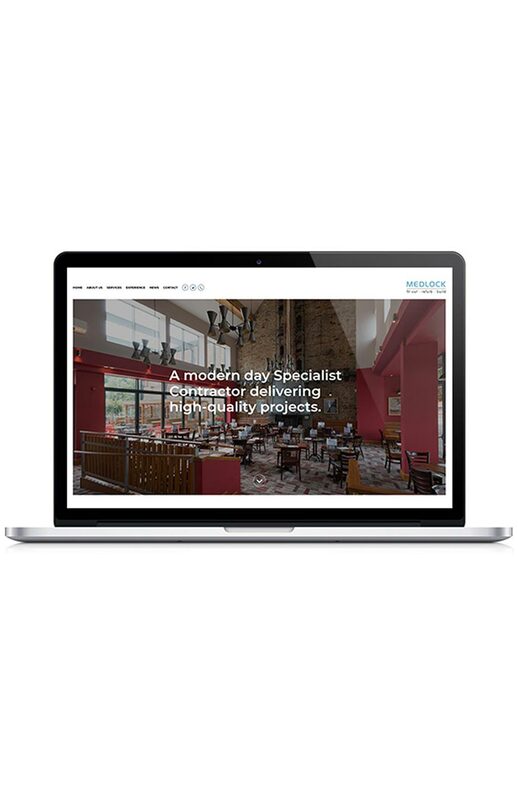 They were looking for a sleek website that represents their contemporary refurbishment works. So with this in mind we developed a Magento website with a strong emphasis on photography that makes the most of their clean and modern imagery. The user experience was a key concern during the development process so we undertook thorough testing across a variety of devices and browsers to it is as smooth as possible. Medlock have a strong balance sheet, a stable business with fantastic people working towards a clear long-term plan. They are qualified industry professionals who operate via a clear process and plan, with a commitment to deliver high-quality projects for their customers safely, on time and to budget.